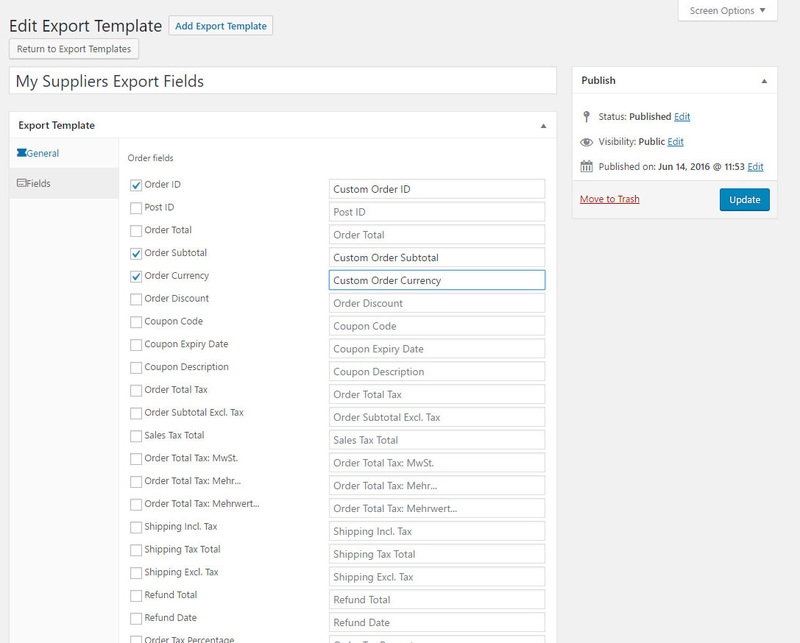 In the export options, can you change the order of columns / order the data before export? and the cells are blank – are you able to point me in the right direction please? 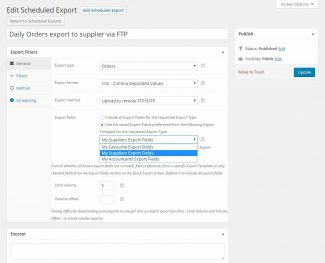 My client need to export every order with order status “processing” and order status “completed” with automatically sending to one email. 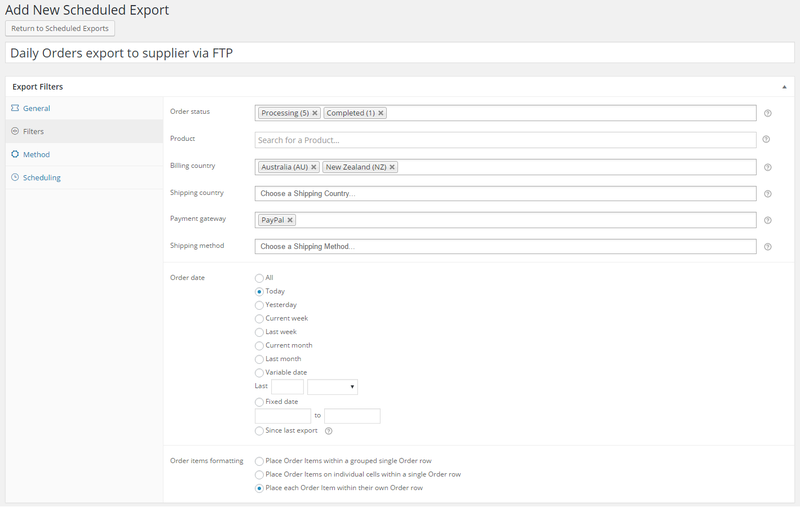 Hi Peter, our “Export Trigger on New Order” feature within the Settings tab generates an Order export on every new Order – we use the woocommerce_checkout_update_order_meta hook within WooCommerce – unfortunately at this time does not support filtering by Order Status (it runs when a new Order is populated by WC) or sending to e-mail addresses (it saves to the WordPress Media). I’ve made a note to add support for both of these features in the next major Plugin release or earlier. When do you circa expect this update? 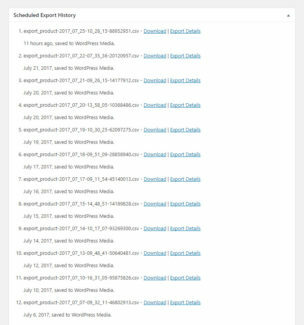 I’ve installed 2.0.1 but Scheduled Reports still aren’t working. Are there still known issues with this release? 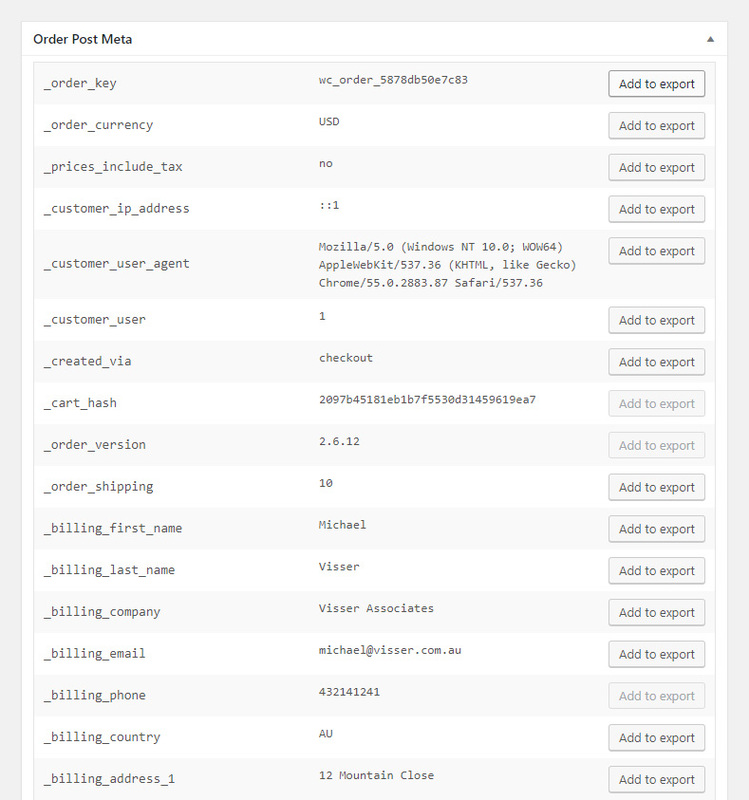 Hi Mark, I’m working with several customers to reproduce why scheduled exports aren’t working and so far it’s been a case of corrupted WP-Cron tasks (hundreds of registered tasks which means our export doesn’t run) or memory limit/timeouts affecting scheduled exports. 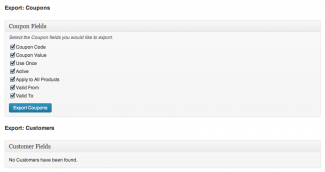 Best to raise a Support ticket or continue following up on an existing ticket if already opened. 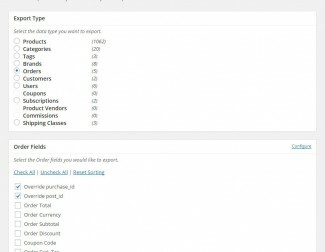 Hi, this is a pre-sale question: does your plugin also export fields from the WooCommerce TM Extra Product Options plugin (http://codecanyon.net/item/woocommerce-extra-product-options/7908619) by themecomplete? 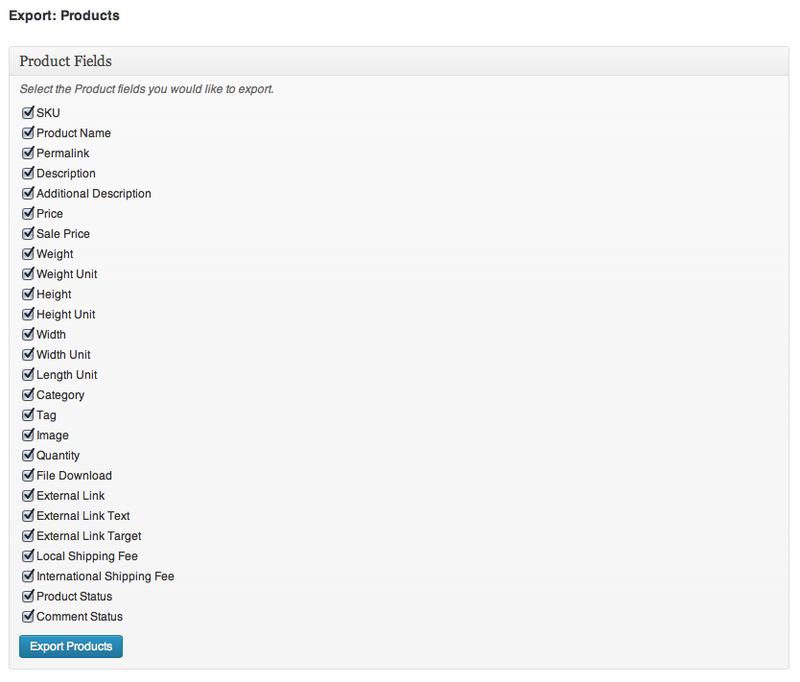 We use it for product personalization. 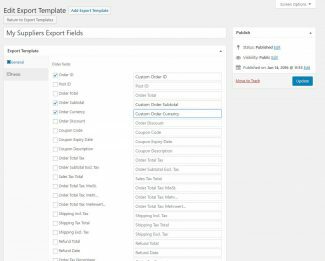 I’m looking for a way to export orders to import into quickbooks. Hi, this is a pre-sale question. 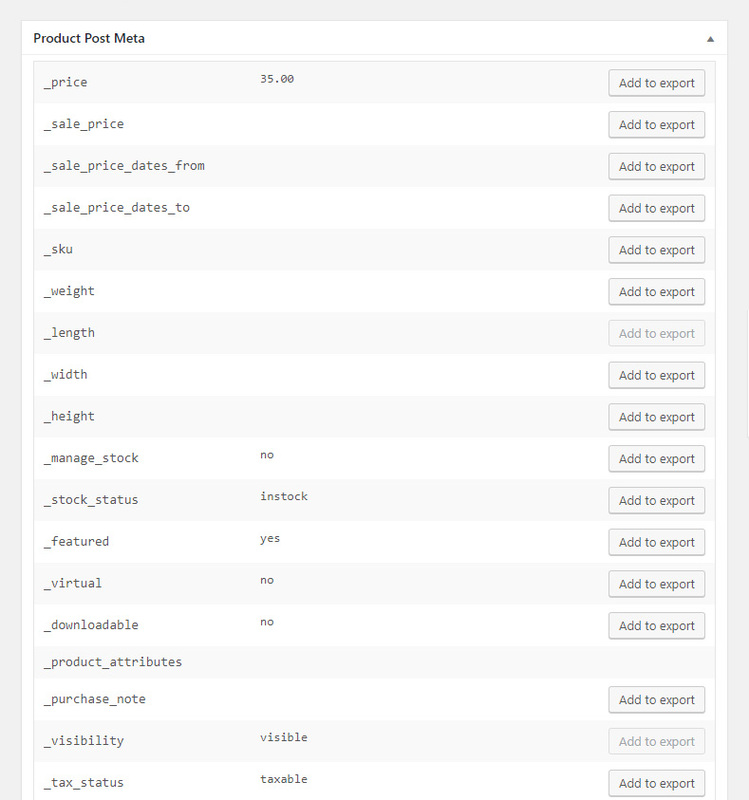 In the export xml tags there are also the link of images? Hi Carlo, sure is, for both Featured Image and Image Gallery separated by the Category pipe character. 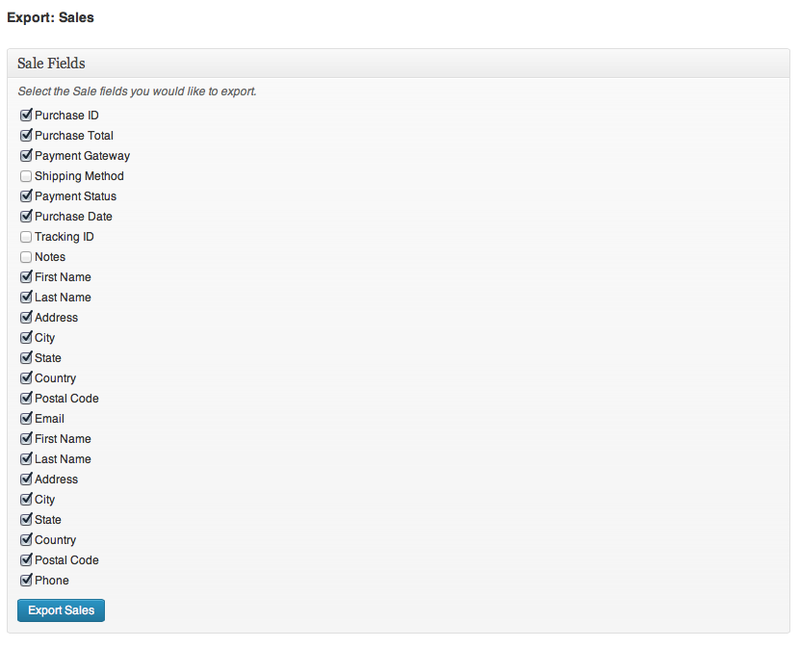 In a future Plugin update I’ll split each image of these fields into separate elements. I just updated to the latest version. 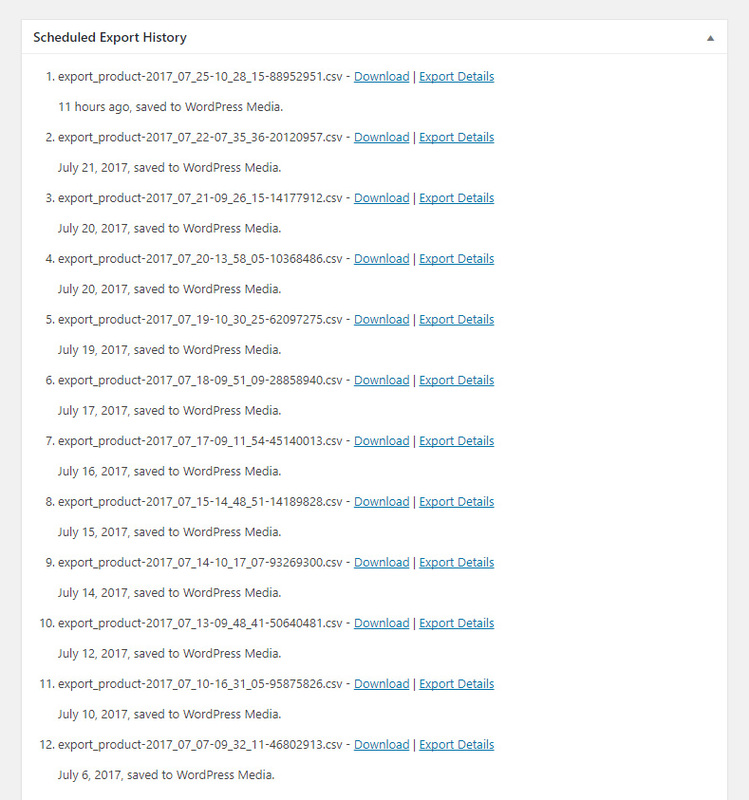 I understand I can now schedule more than one report. Great! 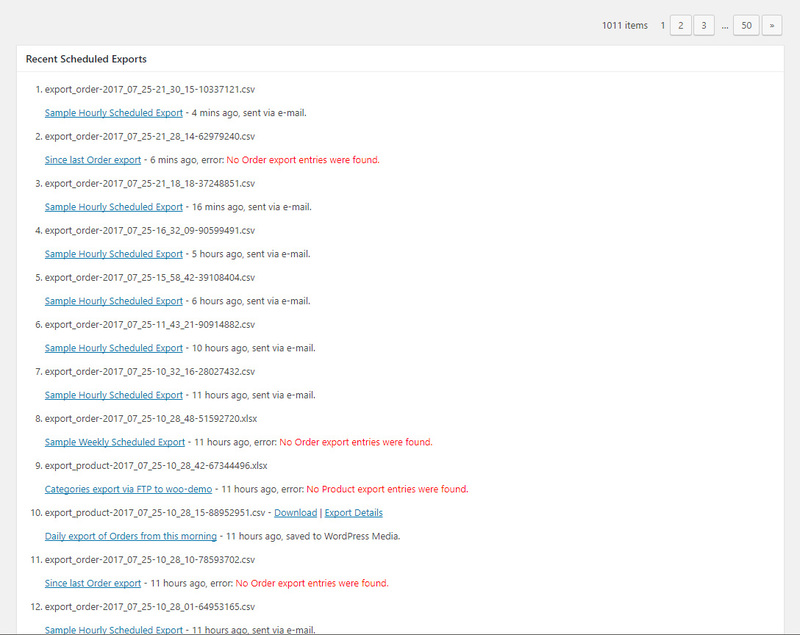 However, I need two scheduled reports for orders. 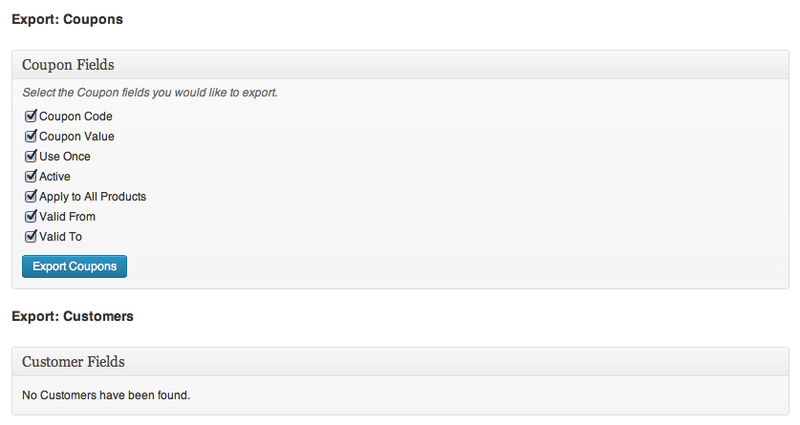 I see where I can create the 2nd report and schedule it, but how do I change the fields I’m exporting? 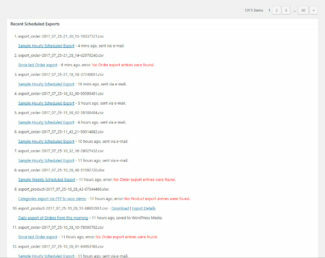 The first report is already taken care of. Thank you, Michael. 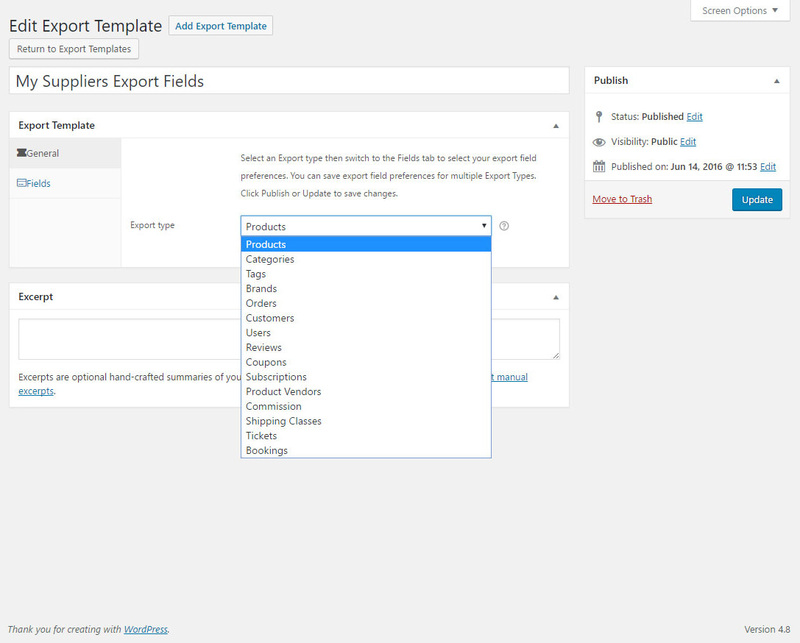 To be clear, I can schedule multiple reports now, but they will export all fields within the type of report I choose to export? Any idea when 2.0 will be out? It would be a huge time saver since I currently have two reports I’d like to schedule, and each need many fields excluded from the report. 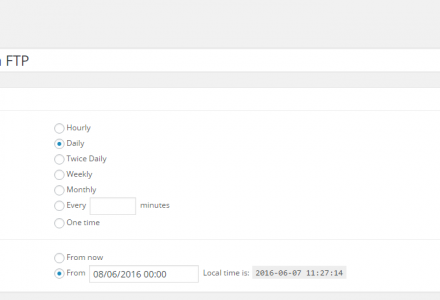 I have integrated the WPML with the Woocommerce for handling orders with different currency. 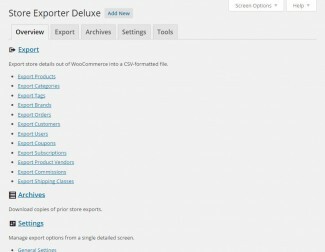 Can I use the Store Exporter Deluxe to export the currency code, exchange rate for the order? Do I have any compatibility issue here? 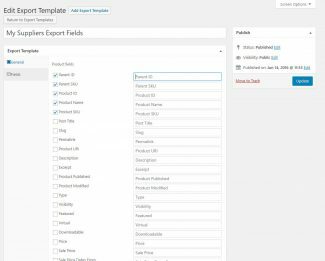 Im trying to export the products using your plugin but after I check all the fields I want and click export it just refreshes the page. 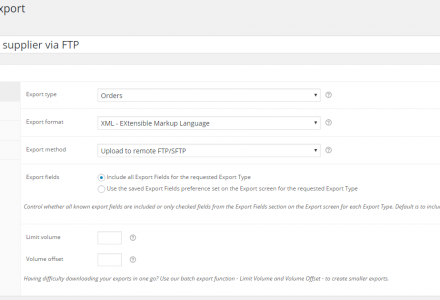 No popup to save anything, also no export available in Archive’s even though the option to save them in archives is enabled. 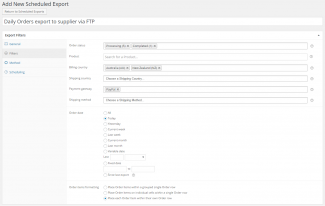 We’re moving to another e-commerce solution and we have 2700 or so products to migrate. 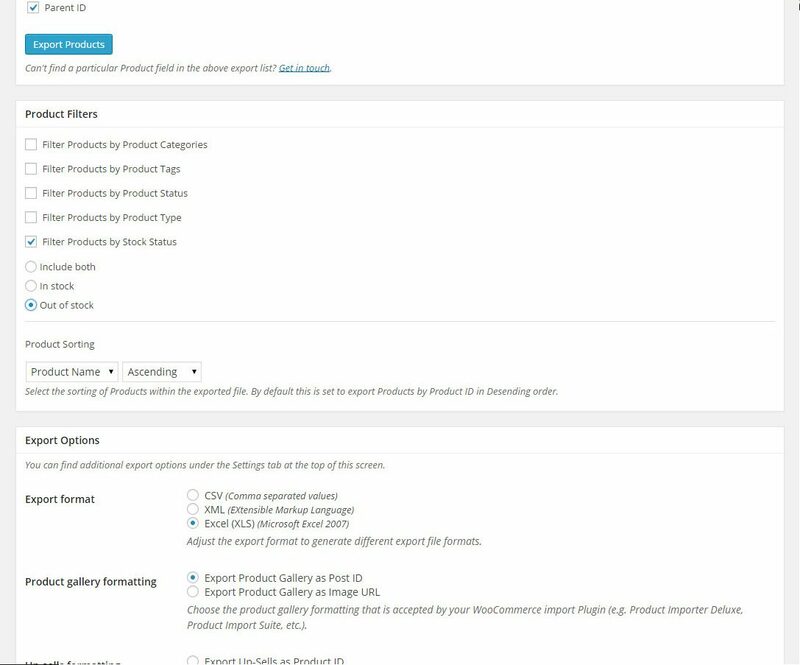 Hi Josh, you’ll need to update your WP e-Commerce site to a minimum of 3.7.8.3, I recommend setting up a staging site with the same content and updating to that release then using our SED Plugin to export Products, etc. Hi, I updated to 3.7.8.3 and am still having the same issue. If I purchase the deluxe version, could you get this working for us? 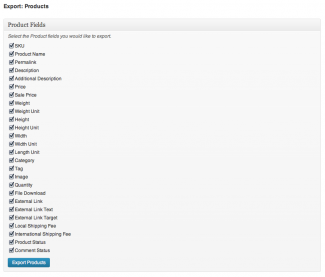 Have updated wp-ecommerce to 3.7.8.3, using WordPress 3.4.1? Really need to get these products exported. 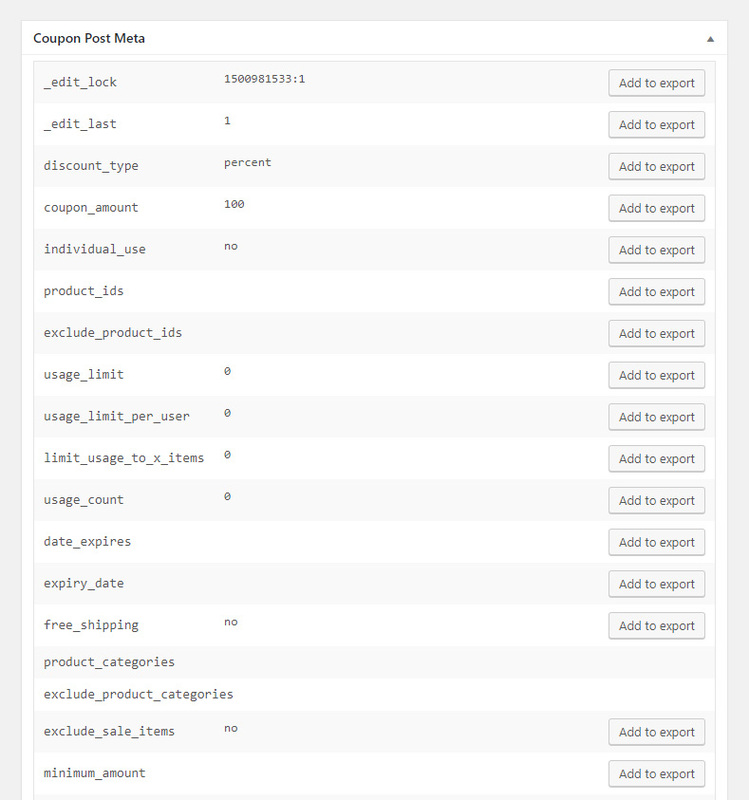 Will it output the CSV to have Product Name, Product Description, Price, Category Name, and a few others all in the one CSV? 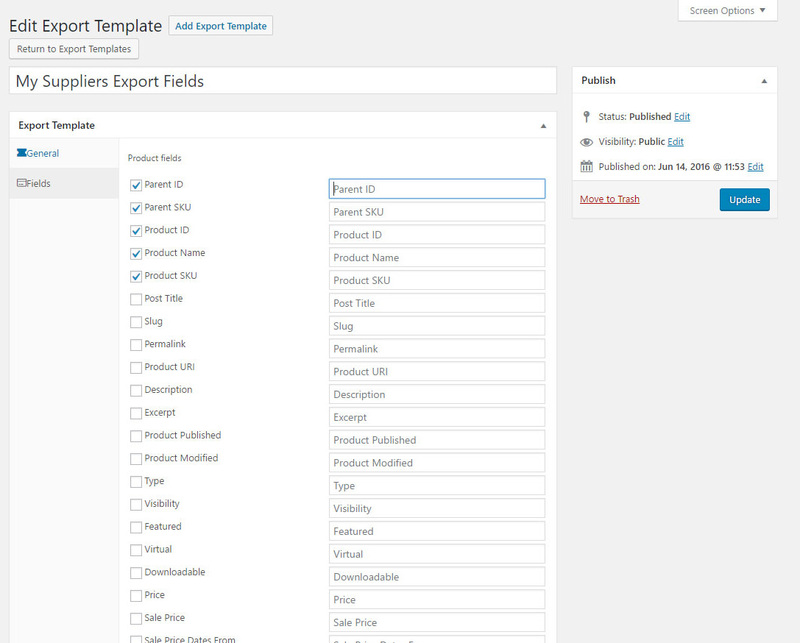 I tried exporting the table out of the database which works but it doesn’t list the actual name of the category the product belongs to which I need. 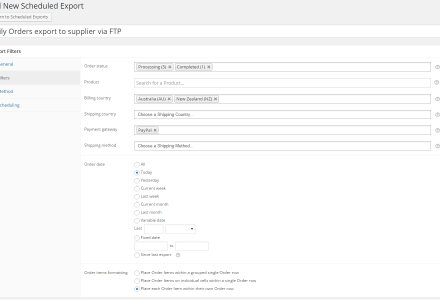 I bought the Deluxe plugin, and when performed export in Excel format, the “total shipping weight” and “Order Items: Total Weight” column is blank. 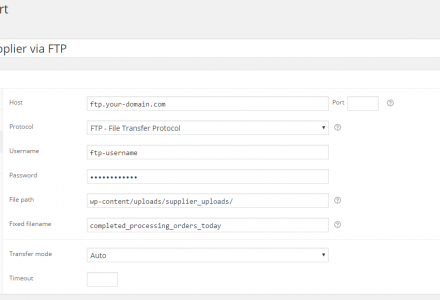 I must generate a CSV document with User ID and 6 others custom fields. 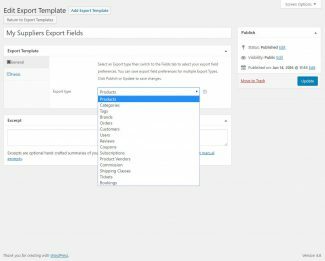 I created these custom fields in User Meta area. These custom fields contains always same number (for example : custom field 1 is “001”) It is constant terms. 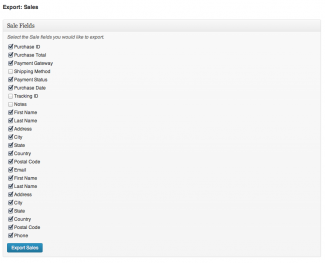 My goal is to generate a CSV doc fill in with USER ID and as much as “001” there are USER ID. How can I do ? 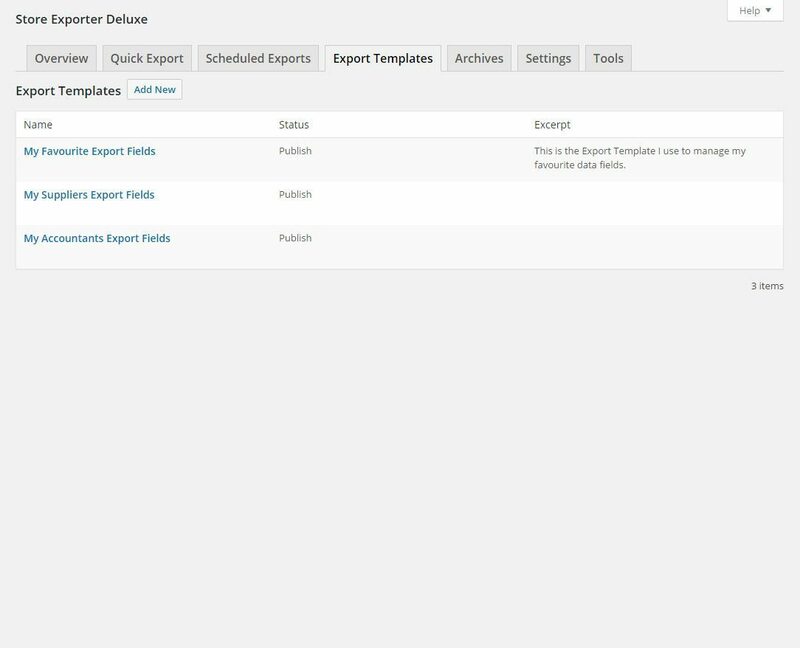 Is it possible to schedule multiple export types? 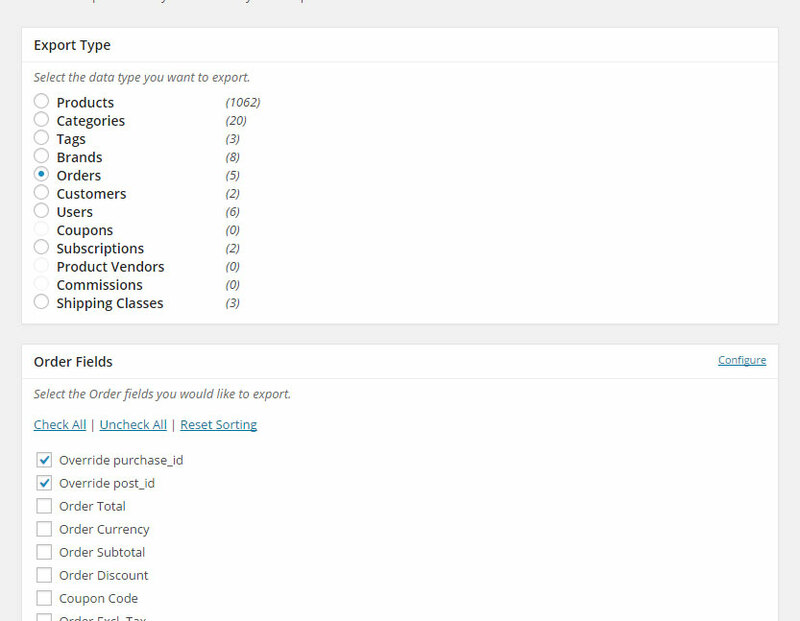 For example, I want to export my wordpress users AND my woocommerce orders every Thursday Night and have them emailed to me. 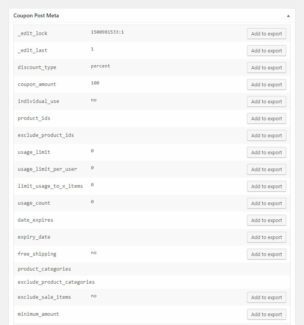 Is it possible to combine export types? 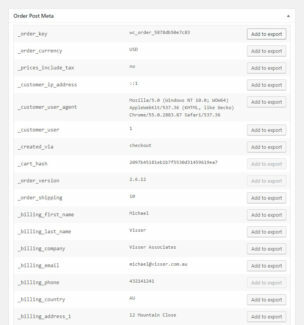 For example, I want to export my woocommerce orders to CSV and horizontally append the user data (with custom meta fields). That way I don’t have to cross-reference two export files. Hi Skip, you can do this with the 2.0 Plugin update coming out this week! 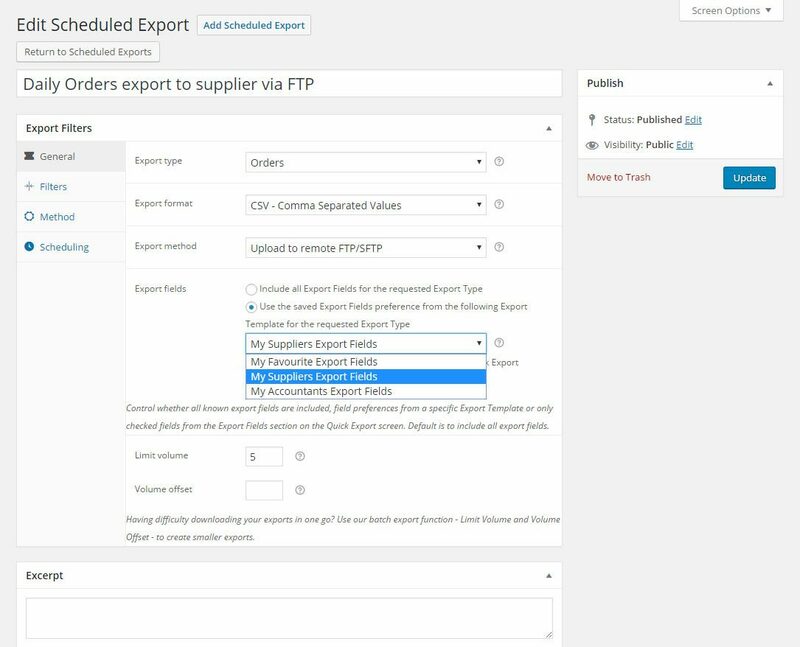 We’re announcing multiple scheduled export support which does just that. 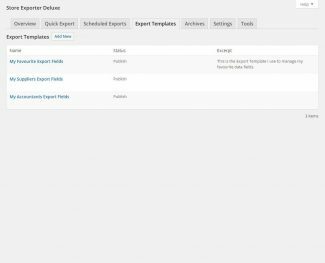 Is this plugin compatible with latest version of Woocommerce (2.4.6)? Hi, is there a way to filter users based on the company field within their accounts? Hi Arnoldo, we don’t support filtering Users by Company as the Company field is a text field and could contain multiple instances of the same Company with different spelling and case. 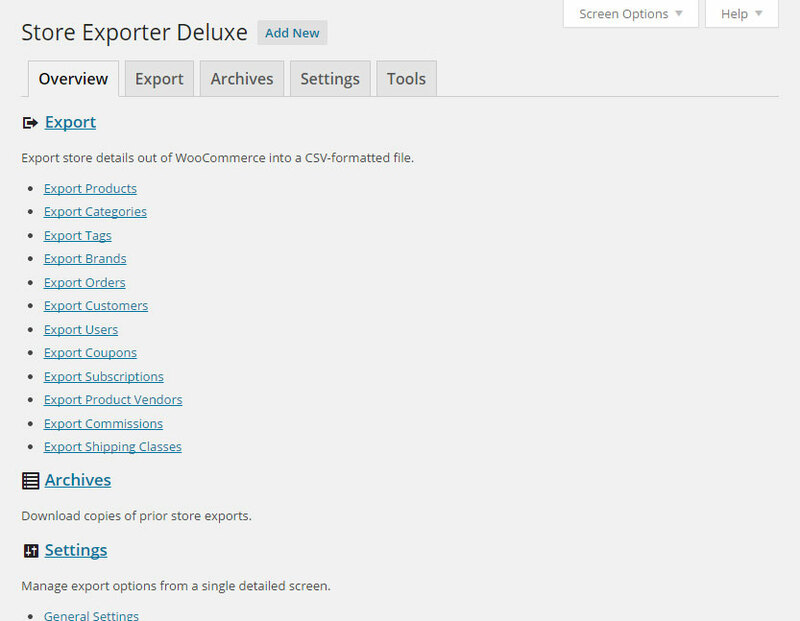 I’ll put a tutorial together and publish it to the Usage document on adding additional custom User filters to the exporter using available WordPress Filters. 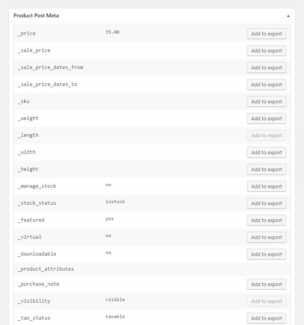 Does the plugin export listings as well? 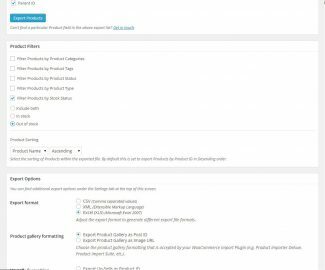 Hi Chris, what WooCommerce Plugin are you using for maintaining listings? I use the following with woo commerce: WooCommerce Subscriptions, WP Job Manager, WP Job Manager – Claim Listing, WP Job Manager – Contact Listing, WP Job Manager – Extended Location, WP Job Manager – Job Tags, WP Job Manager – Predefined Regions, WP Job Manager – Products, WP Job Manager – WooCommerce Paid Listings, WP Job Manager – WooCommerce Paid Listings, so I guess the answer is WP Job Manager that “converts” the jobs to listings.